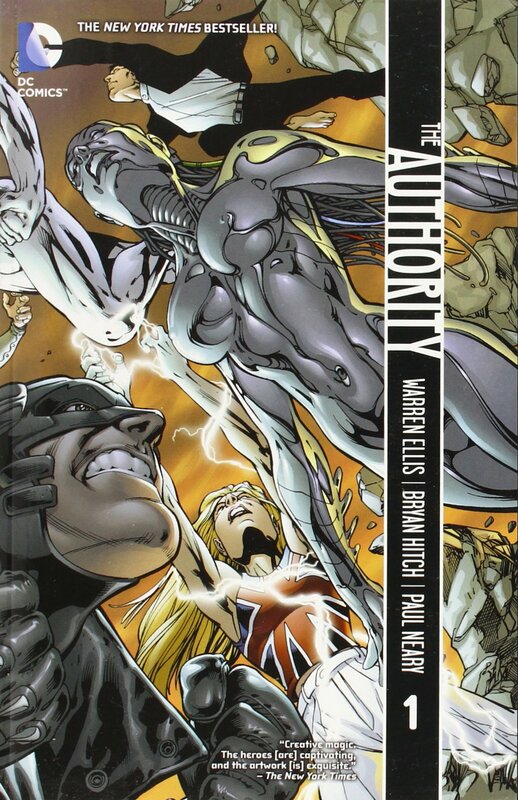 Within The Authority Warren Ellis and Bryan Hitch reconfigured the idea of the superhero team as something fit for purpose in the 21st century. 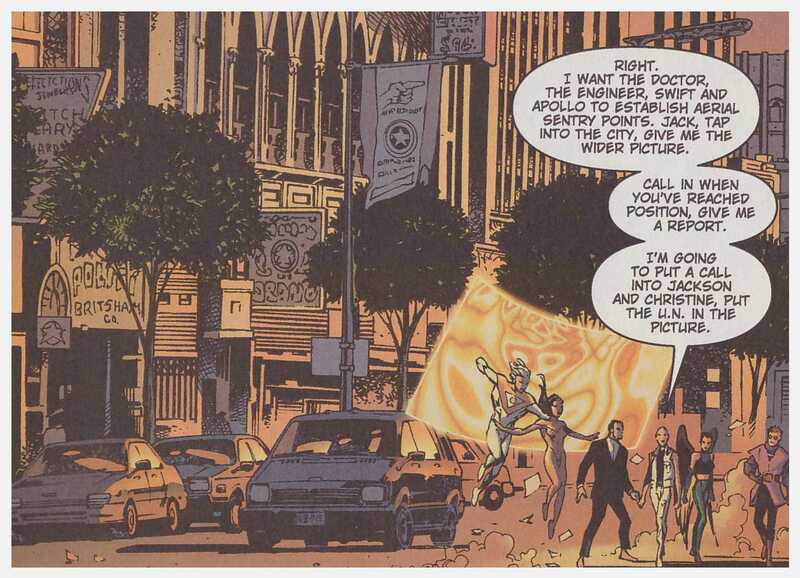 There’s a direct lineage back from the Avengers films through the Ultimates by Hitch and Mark Millar that leads to the three stories reprinted here. 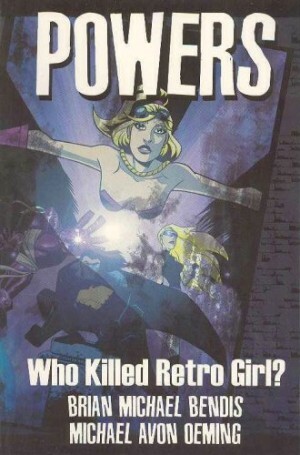 Ellis began the work of ramping up superheroes in the pages of Stormwatch, particularly when Hitch came aboard for A Finer World, but that title retained too many connections and cast members with expectation attached to them. A cleansing took place, and the survivors were the cast Ellis had some use for. There was the acerbic and cynical Jenny Sparks, spirit and protector of the 20th century; The Doctor, with his heritage extending back through generations of Earth shamen; Jack Hawksmoor had undergone alien modification, was attuned to cities, and could travel between them; Apollo and the Midnighter were, as far as powers go, Superman and Batman in all but name, yet also lovers; the Engineer was nano-botic, still human, but controlling her form and functions by will. There was also Swift, who could fly. Very fast, but she was oddly surplus to requirements and under-used. The Authority were headquartered in the Carrier, fifty miles high, thirty-five long, housed between the dimensions, yet tethered to Earth and able to provide instantaneous transportation to any point. They didn’t fight bog standard super-villains, but a man with thousands of super-powered clones intent on carving his corporate logo on the planet, the monstrous alien ruler of an other-dimensional Britain, and, finally, God, or as near as. 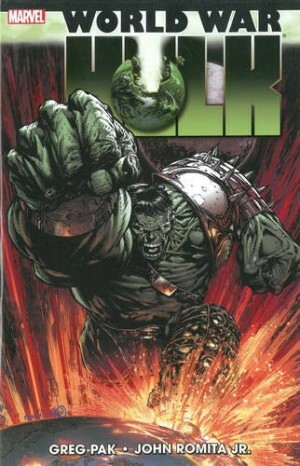 This was low on characterisation, high on fast-moving, crisis-containing action, and page-turning in its intensity. Much was down to Hitch, who began Stormwatch as an artist pulling away from his Alan Davis style (yet retaining Davis’ strong storytelling instincts) to formulate his own graphic instincts, and finished this series fully formed as the blockbuster comic artist. 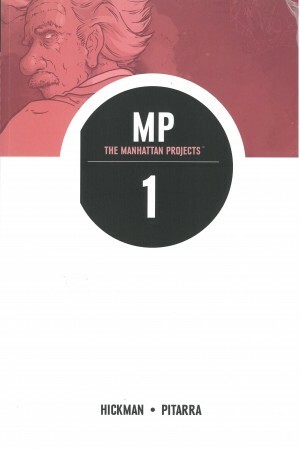 As the book progresses he drops the idea of two or three panels to a tier, alternatively presenting single long thin panels stretching across from left to right, four to a page. Each is a widescreen cinema snapshot. They accentuate the action, letting it flow, rather than compressing it. For all the Authority has begat, and there’s been an awful lot of begatting, the original article remains a visceral thrill ride, and if you enjoy your superhero comics you should read it. It’s big, and it’s clever. The content has previously been available as the alternative hardcover and slipcased Absolute Authority, now long out of print, and spread across the paperback collections Relentless and Under New Management. 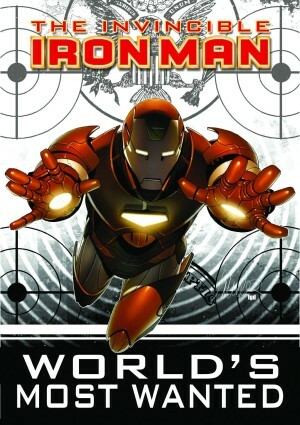 Volume two collects the work of Mark Millar and Frank Quitely that followed.